Ever wanted to learn Morse Code? 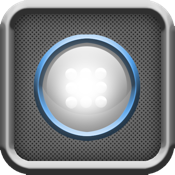 With this app, you can learn Morse Code very easily. This Morse Code app includes simple tools to get you on your way. This is good way to practice generating Morse code. This practice can solidify skills in learning and forming the Morse code characters. - Handiest Morse Code Encoder - Guaranteed! - Stunning graphics - This is the most beautiful encoder you can get in hand! - You can choose a color for screen light.